27 years (29 years for the candidates having the prescribed translation work experience of 02 years). Master's Degree in any subject with English medium from a recognised university and Hindi as a subject at the Degree Level. Diploma/Certificate course in Translation from Hindi to English and vice-versa from any University/ Institute recognized by the Government OR 02 years experience of translation from Hindi to English and vice-versa in Central/State Government offices or State Legislature Secretariats or Central/State Public Sector Undertakings/ Autonomous Bodies/ Supreme Court of India/ High Courts. Eligible candidates have to apply for the above posts in a typewritten/printed application form, either in English or in Hindi. The candidates may take a print out of the same. The candidates are advised to carefully fill up the various columns in the application form. Applicants should affix two self-attested identical recent passport size photographs, one on the application form and the other on the Attendance Sheet. Exam Dates- Exam dates are not declared. I have shared all the important knowledge for the upcoming Lok Sabha Secretariat Recruitment here. 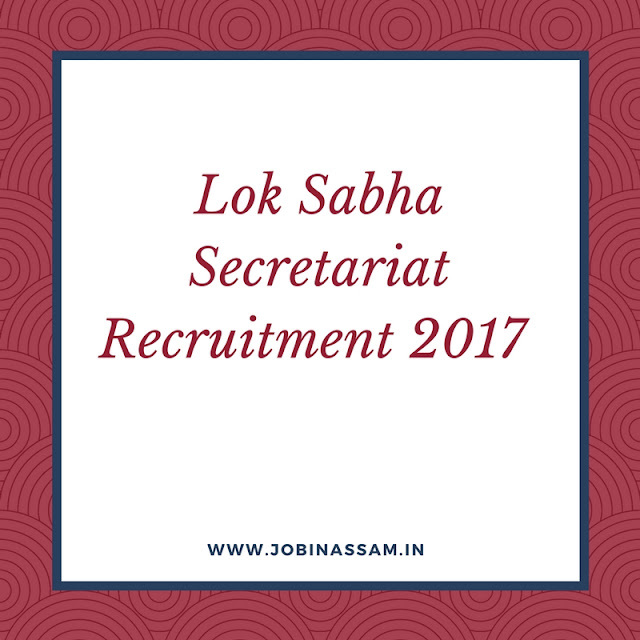 Lok Sabha Secretariat will be a good job for you if you are eligible for the post mentioned above, apply before the last date.